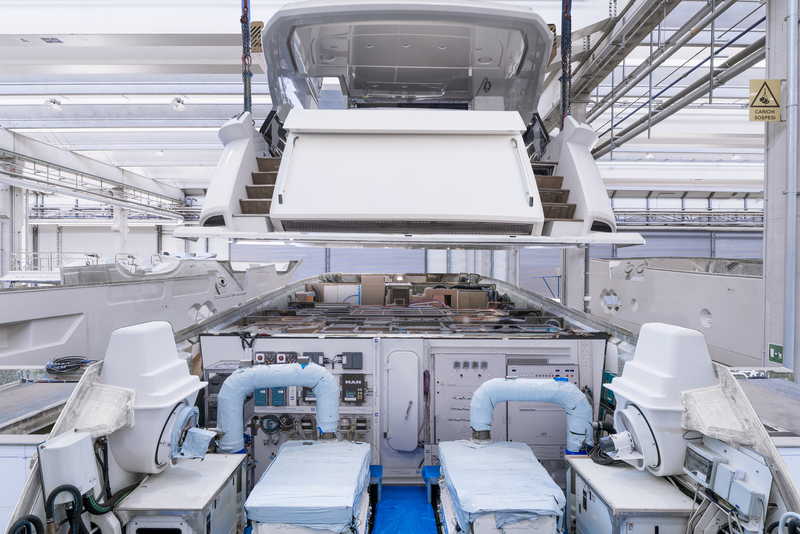 The Italian yacht builder, part of French Beneteau Group, reveals the most precious secrets behind its world-class modular construction process and looks ahead to another decade of disruptive innovation. To celebrate ten years of successes and visionary technological breakthrough, Monte Carlo Yachts proudly decided to unveil for the first time images and accurate descriptions of its manufacturing process and naval architecture that have revolutionized the yachting industry. 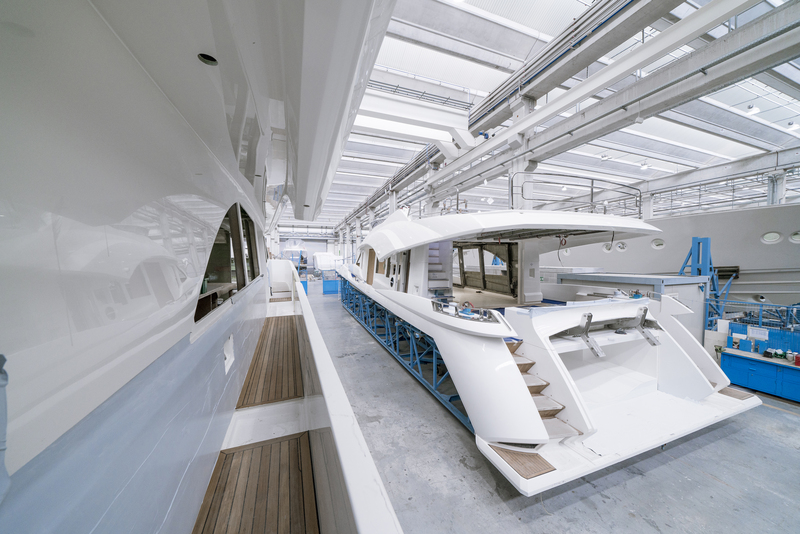 “Unique in the yachting sector, Monte Carlo Yachts has introduced an exclusive naval architecture and modular construction process inspired by the Lean Manufacturing concepts with which the world leaders in the most advanced industrial sectors pursue aesthetic quality and technical reliability in an efficient production environment”, says Fabrizio Iarrera, MCY Managing Director. Recognized since the beginning as one of the company’s major strengths, the shipyard’s modular construction process allows the company to increase quality being more responsive and dynamic towards the global market. But innovation is not linked just to the process itself, Monte Carlo Yachts went much further revolutionizing the yacht’s naval architecture. This solution becomes the essential instrument to make modular construction possible and improves the technical characteristics of the hull structures to much higher quality levels. The traditional hull structure is replaced by an innovative internal structural skeleton so that the entire beam of the yacht, from the bottom of the hull up to the deck, contributes to increase the structural qualities of the boat. At the same time, soft mounting solutions are applied to limit the transmission of vibrations and noise toward the interior rooms and reach comfort and reliability standards of absolute excellence. The entire structure of the interior cabins is therefore conceived in modular form so it can be readied outside the hull in complete control of the assembly tolerances, now limited to around a millimetre. This system makes it possible to care for the smallest design and decor details, offering almost limitless possibilities for personalizing the end product and allowing total accessibility in the preparation of the on-board systems. 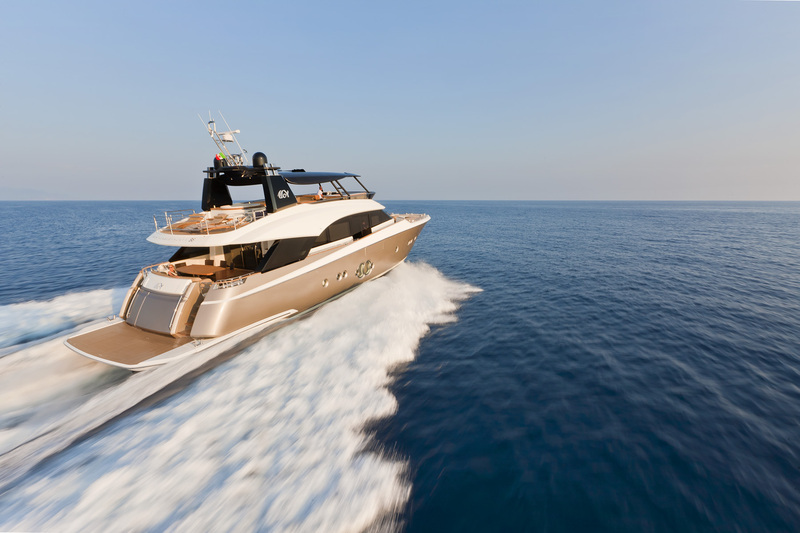 The hull of every MCY presents itself as an extremely solid, light shell, with top-of-the-category safety standards. Characteristics made possible by the modular approach together with the use of self-supporting plating made in sandwich, longitudinal reinforcements, a bow crash box, and extensive use of Kevlar and carbon fibers in the highest impact areas. “The whole MCY collection embodies our strategy and design philosophy. 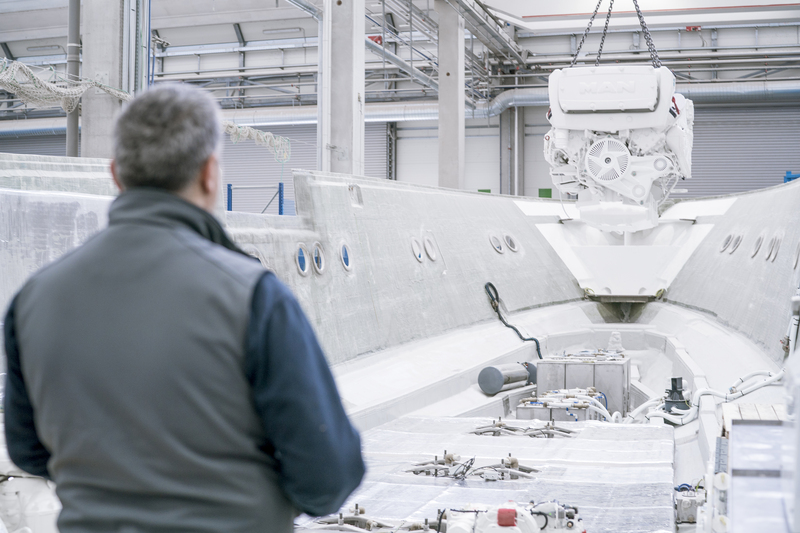 We are very proud of the outstanding accolades achieved by our yachts during these years, but the recognition that gratifies us the most is the one received for our innovative manufacturing process” says Carla Demaria, MCY President. Monte Carlo Yachts has been awarded with the Innovation in a Production Process Award at the IBI-METS Boat Builder Awards for Business Achievement organized jointly by IBI magazine and METS.